Walmart has confirmed 14 complaints, with seven of them involving fires that damaged property with no injuries. The retail chain is encouraging customers to return the players for a full refund. If you want to be one of those “better safe than sorry” people, then go ahead and do it. Take the $29 and buy yourself something new. We know nothing about the circumstances of these fires. This could simply be seven people who used their DVD players as a “security measure” — leaving on a television to give the appearance that somebody is home — to fool burgulars while on a two-week vacation. Out of 4.2 million people, only 14 had problems. That’s 0.0000034%. 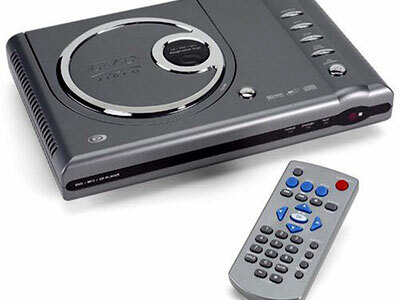 This particular Durabrand player can play both NTSC and PAL format discs, works well with recordable DVD media, and it can easily be set to region-free mode (using a secret code on the remote, allowing the playback of my overseas disc purchases). It’s small, and it works great — I’m keeping mine. If my house bursts into flames, I’ll be sure to leave a follow-up blog, from the Internet cafe down the street. Comments? If you’d like to comment on this article, then please do so in our forum.